BALTIMORE—Noting key indicators such as safety, health, and climate, a new survey published Tuesday in the Wall Street Journal ranked Baltimore the number-one city in the U.S. for quality of pigeon life. “Baltimore came out ahead of pigeon-friendly cities like New York and Boston due to its ample nesting alcoves, the lack of bird-repellent spikes, and the accessibility of dropped French fries and corn dogs,” said the newspaper’s senior editor, Bethany Crandall, adding that pigeons in the mid-Atlantic metropolis enjoyed sprawling public parks and some of the lowest rates of toddler-chasings in the country. “Baltimore has a vibrant and diverse pigeon population, and there are lots of flock-friendly places to raise chicks. The number and variety of puddles is a major draw, and the awnings are world-class. 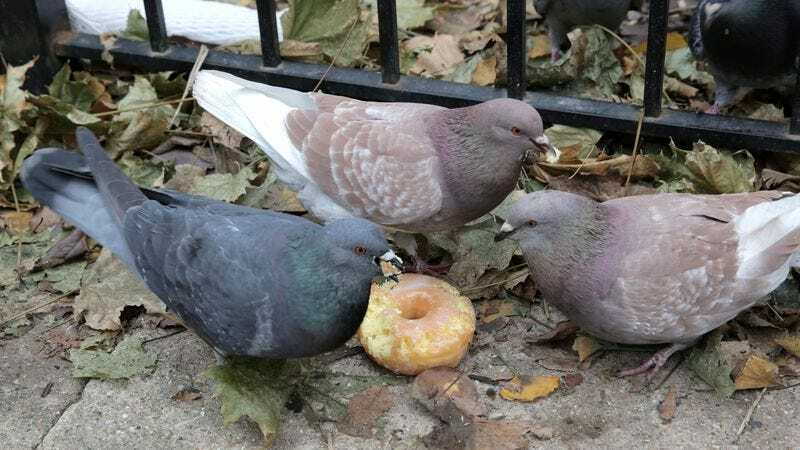 It’s no wonder that more and more pigeons are choosing to make the city home.” The survey also found that Philadelphia was the best city for single pigeons.